It's capable of converting any format video to an animated GIF. Video to GIF Converter 5.2 was available as a giveaway on March 16, 2016! Video to GIF Converter is an easy-to-use converter, which is the most powerful and the fastest windows video to GIF generator. It's capable of converting any format video to an animated GIF in part or as a whole. Its supported video formats are: AVI, MPEG, MP4, WMV, MKV, MOV, VOB, RMVB and many more. Also you can set the frame rate and make effects in the output GIF. 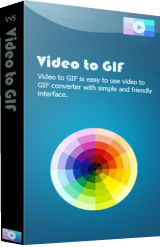 Get Video to GIF with support and upgrades at $9.95 (50% OFF). How would you improve Video to GIF Converter 5.2? Add watermark to a lot of photos at once, fastest speed with simplest step. Get Video Watermark Pro at $14.95 (50% OFF). The newly-designed watermark software. Protect and retouch your photo and video all with a few clicks. 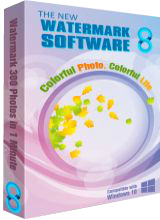 Get Photo Watermark Software (Personal) at $17.95 (70% OFF). Is there a before/after demo that shows how this software transforms the source video? Simple install & another great offering from GAOTD. Simple install & another great offering from GAOTD. BarrysCool. I clicked the download link and got a page demanding that I share or like. There was a hoop to jump through to get an email link without obeying the first command but that means giving them my email address. Of course I don't trust them. I despise this new practice of trying to control users. I don't work for you. Don't you dare demand that I do part of your job! I clicked the download link and got a page demanding that I share or like. There was a hoop to jump through to get an email link without obeying the first command but that means giving them my email address. Of course I don't trust them. I despise this new practice of trying to control users. I don't work for you. Don't you dare demand that I do part of your job! Scott, Maybe if everyone can get the sheeple to listen to reason? It may change for our betterment ... one day maybe. Thanks for your comments. It's the new rule of GOTD anyway. Sharing it won't leak our privacy and GOTD is good site. I read the tutorials on their website and made an animated GIF in less than a minute. Easy peasy! Thanks GOTD and AoaoPhoto for this giveaway. very, very afraid to download this. and I fear this will erase that and there will be some bug. does this let you set the DEFAULT size of the gif??? where is the 5.2 changes list? very, very afraid to download this. I have and use the previous version.... and I fear this will erase that and there will be some bug. does this let you set the DEFAULT size of the gif??? where is the 5.2 changes list? Download and install Toolwiz Time Freeze. It is free and will allow you to test this offering. Turn on the Time Freeze and install the GOTD. If it does not go wll, simply reboot your computer and you will be back to where you started. Please feel free to download and use of our software. It runs well, not buggy as you mentioned. I already have Video to GIF 5 from a previous offer. Could the developer inform what the changes are to the present version 5.2? Also, do we have to first uninstall the old version before installing the present one? Does it support the webm format as used e.g. by imgur? And a clarification: The home page mentions Version 4 at $19.90, as compared to the present offer 5.2 at $29.90. What is the situation? I already have Video to GIF 5 from a previous offer. Could the developer inform what the changes are to the present version 5.2? Also, do we have to first uninstall the old version before installing the present one? Does it support the webm format as used e.g. by imgur? And a clarification: The home page mentions Version 4 at $19.90, as compared to the present offer 5.2 at $29.90. What is the situation? tomcat Although I didn't see any mention of v4 on the home page (link above), the version listed on the home page is v5.1, and not v5.2, which makes this offer a little confusing . . .
<b>tomcat</b> Although I didn't see any mention of v4 on the home page (link above), the version listed on the home page is v5.1, and not v5.2, which makes this offer a little confusing . . .
and my AV detected malware. Free does not always mean you don’t give something in return. One good thing about GAoD offers is they have no catches attached. @ Jahid I tried downloading the first one, namely Free Video to GIF' by LightBox Tech and my AV detected malware. Free does not always mean you don’t give something in return. One good thing about GAoD offers is they have no catches attached. It seems that your list has nothing to do with our software. You can have a look at our Video to GIF here: http://video-to-gif.watermark-software.com/. Well, I downloaded, extracted, installed and "Successfully Activated" this program, except I can't find the program files or Icon after a search anywhere on my Windows 10-64bit desktop, what gives? and NEVER EVER AGAIN LOOSE a file anywhere on your computer or external HDD!! It is absolutelly insane that Microsoft didn't bought this company for some zillion dollars and used Everything as THE search engine in all Windows versions. <b>David</b> install free Everything from https://www.voidtools.com/ and NEVER EVER AGAIN LOOSE a file anywhere on your computer or external HDD!! It is absolutelly insane that Microsoft didn't bought this company for some zillion dollars and used Everything as THE search engine in all Windows versions. Mario, You didn't answer my question! Where is the program located and where is the program icon? I'm not interested in downloading anything from that link, just tell me where the program file and icon are located. Thank you! David, I think you did not understand my comment at all! How it is remotelly possible for me to know where anything is installed on YOUR computer. All I can see is MY computer!! BUT, if you had Everything installed on YOUR computer, all you had to do is type the name of the program on YOUR Everything window and YOU would know, IMMEDIATELY, where the program is installed, then you could click twice on the response and them you would be immediately transported to there. I don't have ANYTHING to do with EVERYTHING company, BUT a PC without Everything is a PC with nothing! This program is the second or third thing I install on all my windows computers . The first is the operating system, the second is a browser ( if it isn't already installed with the system ) and the third is Everything. My first personal computer was a Sinclair! David, I think you did not understand my comment at all! How it is remotelly possible for me to know where anything is installed on YOUR computer. All I can see is MY computer!! BUT, if you had Everything installed on YOUR computer, all you had to do is type the name of the program on YOUR Everything window and YOU would know, IMMEDIATELY, where the program is installed, then you could click twice on the response and them you would be immediately transported to there. I don't have ANYTHING to do with EVERYTHING company, BUT a PC without Everything is a PC with nothing! This program is the second or third thing I install on all my windows computers . The first is the operating system, the second is a browser ( if it isn't already installed with the system ) and the third is Everything. My first personal computer was a Sinclair! OK David, I've just installed Video to Gif on MY computer, loaded Everything, wrote Video to Gif on it, and it found immediately 7 instances of Video to Gif. C:\Program Files (x86)\AoaoPhoto Digital Studio\Video to GIF. Program icon was where it should be. OK David, I've just installed Video to Gif on MY computer, loaded Everything, wrote Video to Gif on it, and it found immediately 7 instances of Video to Gif. On MY computer, the program was instaled on : C:\Program Files (x86)\AoaoPhoto Digital Studio\Video to GIF. Program icon was where it should be. Hope that helps. Corn Tall , wright! much more concise. Corn Tall , That's the 1st place I checked, basic common sense. It's not there or anywhere, otherwise I wouldn't have replied. I think there's a problem with the compatibility with Windows 10-64bit or the Setup .exe package. I already tried re-downloading and installing, no sign of the program or seaching for program keywords on drive "C". Any other suggestions? I agree with this statement 100%. Everything is instant and amazing. Mykul, This was supposed to show up under Mario's comment. Just want to try it, and it has the function to output video in photos. Surprise to find it out. Anyway it’s good software to be kept with. It works, although not as I expected. I think I'd need the markers fixed to give it a thumbs-up, but it isn't a thumbs down. I'll probably not use it though. (1) I tried (repeatedly) dragging and dropping (Win7 x64) a video file both to the main window and the "Load Video" box but that didn't work. Loading the video via the Load File Dialogue worked fine. (3) You can't drag around where the video will play from, it just starts at the selected marker when you press play. (4) I can't see an option to preview the GIF by looping from the out marker back to the in. BTW the output files are stored in the folder "Documents\AoaoPhoto Digital Studio\Video to GIF\OutputPics", perhaps suggesting the program's origin? It works, although not as I expected. I think I'd need the markers fixed to give it a thumbs-up, but it isn't a thumbs down. I'll probably not use it though. (1) I tried (repeatedly) dragging and dropping (Win7 x64) a video file both to the main window and the "Load Video" box but that didn't work. Loading the video via the Load File Dialogue worked fine. (2) Most annoying is that the Next/Previous Frame buttons work in one direction but swap between in/out markers in the other (if you click towards the other marker it jumps to it, not moving the current marker one frame that way). This makes exact in/out point selection difficult (you have to go past the point towards the other marker then come back). Also I think the reverse button (when used at the In point) jump in groups of pictures (i.e. typically 12-15 frames, possibly more) rather than a frame at a time, making a smooth jump back to the beginning hard to manage. (Note you can't use the forward button on the In point, it just jumps to the Out point, so the start can only be adjusted coarsely.) (3) You can't drag around where the video will play from, it just starts at the selected marker when you press play. (4) I can't see an option to preview the GIF by looping from the out marker back to the in. BTW the output files are stored in the folder "Documents\AoaoPhoto Digital Studio\Video to GIF\OutputPics", perhaps suggesting the program's origin? Thanks for using of our software. Our software supports to drag and drop video to load the software, working perfectly on (Win7 x64) PC. And we don't have "Next/Previous Frame buttons", so I guess you are using some other software, not ours. Please check for it. What are the items "3. Previous Key Frame and Next Key Frame, the key frame is not normal frame" from the tutorial then? <b>Alice</b> What are the items "3. Previous Key Frame and Next Key Frame, the key frame is not normal frame" from the tutorial then? If you hover the mouse over the buttons either side of the Play button the Tool-Tips say "Next frame" and "Previous frame". <b>Alice</b> I installed the software from the Give Away of the Day download. The software looks exactly like the image at http://video-to-gif.watermark-software.com/ If you hover the mouse over the buttons either side of the Play button the Tool-Tips say "Next frame" and "Previous frame". Alice, Like JohnL, I found drag and drop doesn't work at all in my windows 10. Doesn't bode well when you ignore reports of problems and insist all is well. The old and free Microsoft GIF Animator still works on my W10 64 desktop. I made a Cameyo portable, so my desktop will remain clean. The old and free Microsoft GIF Animator still works on my W10 64 desktop. I made a Cameyo portable, so my desktop will remain clean. What are animated GIF's good for? Used how and where? Pleasure to have you here and thanks for your interests in our software indeed. You can use it to convert any video to GIF or serial photos fast and easily. 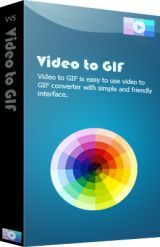 Please refer to tutorial "How to convert video to animated GIF" for use. Animated avatars on forums, pseudo-video anywhere only an image is allowed. <b>Yeremyah</b> Animated avatars on forums, pseudo-video anywhere only an image is allowed. I've been trying to find some software like it for the purpose of demo. It’s running great ! I love it and it does what it tells. I installed it on Windows 10 32 bit, no problem at all. Really appreciate for this sharing, I just wish I would have had it days ago! Great pleasure to see your remarks. Your support means much to us. Wish you have a great day! Have it installed and tested in my virtual machine, perfectly runs in Win 10, Win 8, Win 7 and XP. Simple 4 selections in the bottom will cover almost all needs in converting a video into a gif. The setting button in the down right is a bit hard to find. In it, we can specify the period to second. Thanks for your words on software. Hope you like our software. What a shining day it is today! Brand new GOTD is here for you, the best readers, the geeks, the software fans! So right in the best spring time, Watermark Software Group unite GOTD, come to you with our welcome “Video to GIF Converter”, and simply hope you all can really enjoy this giveaway festival. And you can check our FB account - Watermark Software Facebook to get in touch with us, or better know the features of our software. Enjoy your stays and have a good time! About how to use our software, please refer to our Watermark Software Facebook to know more.